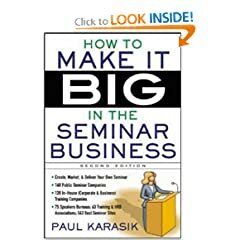 This quick e-book outlines how each tactic works together to make a solid strategy you can be confident in. Downloadable worksheets and resources. Packed with insider tips on determining fees, marketing, scheduling, presentation technologies, and much more. This easy to use, how-to-do-it handbook takes the guesswork out of your sales and marketing. 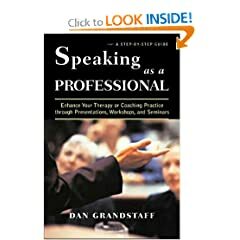 An all-in-one toolkit for therapists, coaches, and affiliated educators preparing presentations for conferences and seminars, workshops, and community events. 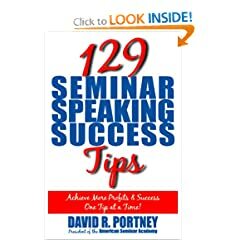 If you've never done seminar speaking of any kind before, you're going to find a treasure chest full of tips, tools, and techniques here. 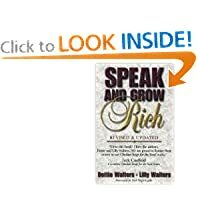 This money-making guide explains the techniques and shortcuts used by today's top speakers.